A hardware store’s paint department presents an overwhelming number of options to any homeowner looking for a color refresh. 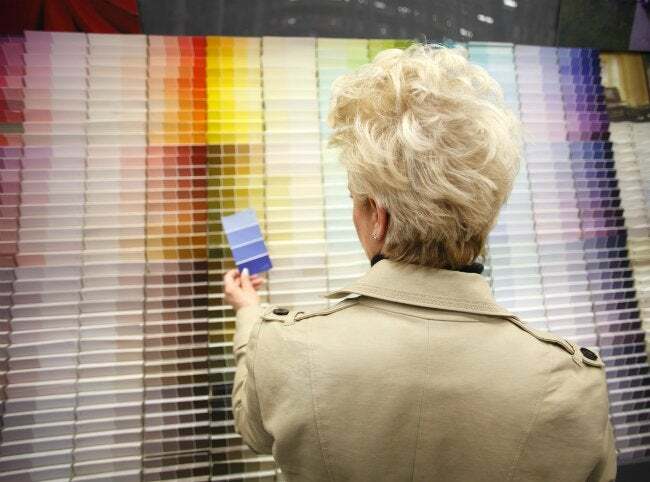 The decision-making doesn’t stop after you’ve selected one specific hue from the walls of paint chips; DIY-minded individuals also faces choices on various types of paint: oil- or water-based, primer or top coat, flat or eggshell. From chemical makeup to the amount of light it can bounce back into a room when dry, today’s paint options vary greatly by can. Without a basic understanding of the terms used by paint manufacturers, it’s tough to know just what to pick. 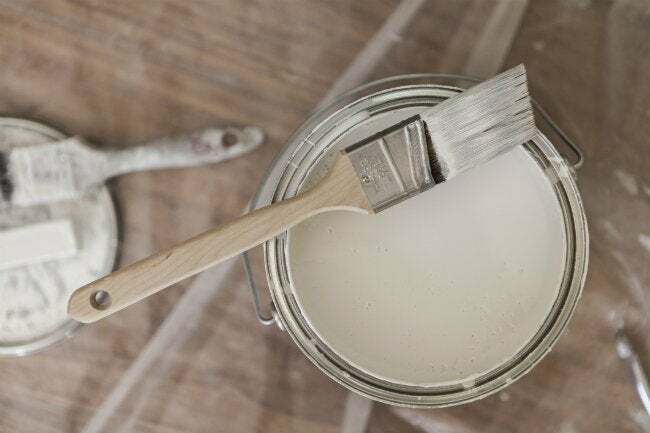 Luckily, if all you want to do is freshen up the walls in your home, a quick dip into this simple glossary can tell you everything you need to know about what paint is perfect for the task at hand. Interior paints fall into two overarching categories determine by their makeup: oil-based and water-based. The two types of paint use different agents to bind them to the surfaces they cover, and these bases create characteristics. While purists might prefer oil-based paints for their impeccable, long-lasting coverage, water-based paints’ ease of use makes them the more popular choice. Oil-based paints, also called solvent-based paints, boast durability and affordability. If you’ve set your heart on a hue to keep on your walls for years to come, you can save some money by opting for oil-based paint in that particular color. Its resilience also makes it great for trim, since baseboards and doorways tend to suffer more daily contact than walls, and oil-based paints can stand up to considerable abuse without wear and tear. All oil-based paint takes hours longer to dry than water-based alternatives, but, in the end, you’re trading an extra day or two of project time for an extra few years of vibrancy before needing a new coat. There are small variations between paints made with organic (linseed oil) and synthetic (alkyd) oil at the base: Namely, organic paints are slightly more delicate once dry, while sturdier alkyd paints cost a few dollars less per gallon but naturally have a higher amount of volatile organic compounds (VOCs). Since alkyd paints are notorious for their odor while they’re still fresh, be sure to wear a respirator and opt for a low-VOC version to further cut down on the smell. Pro tip: To clean your brushes (or any mishaps) after using oil-based paints, mineral spirits are a must; pick up a can of turpentine or paint thinner while you’re in the paint section. Water-based paints, more commonly known as latex paints, are slightly less durable and often more expensive, but the upsides are threefold: They dry faster, clean up more easily, and give off a less noxious odor than oil-based paints. While oil-based counterparts can take up to 16 hours to dry between coats even in perfect (i.e., non- humid, well-ventilated) conditions, latex paint can cover plenty of wall space more than once in a single day, making it the most common choice for interior paint jobs. 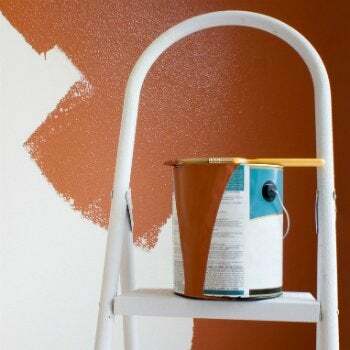 Most DIY projects, including wall painting, start with a primer—a special base coat used to seal off a surface, protecting the new wall color from inconsistency and discoloration the old paint or any pre-existing stains might cause if they’re able to peek through. Primer doesn’t match the new color you’re adding; it’s often off-white or grey, meant to fill in pores and level the playing field, so to speak, before you add your new coat. In cases where a previously painted wall is being covered with a new color that isn’t too much lighter or darker than what’s already there, primer isn’t always a must. But it never hurts to start with one, particularly when it can save you an extra can of $20 to $30 topcoat in the long run. As far as types of paint primer go, the rule of thumb is easy to remember: Use oil-based primer under oil-based paint, and latex primer under latex paint. Once you’ve narrowed your selection down to this point, one consideration remains: the contrast between your current wall color and the paint color chosen to replace it. If you’re going from a deep color to a light one (or the reverse), a high-hide primer should eliminate the extra coats of paint typically necessary to hide trace evidence of the old color. If you’re sticking within a reasonable range of color and looking for flawless coverage in any light, though, a 2-in-1 paint and primer combo can save you a round of touch-ups and potentially finish a paint job in one coat if you’re even-handed enough. Pro tip: If you’re using a separate primer and want your coverage to eliminate even the most microscopic flaws, consider tinting your primer by adding a small amount of your topcoat to it before applying. That way, even if anything shows through in the end, it won’t be as noticeable since its hue will mimic that of the topcoat. Again, make sure both are oil-based or water-based; never mix one with the other. • Flat is the least reflective, most matte type of paint finish. This cozy best for low-traffic areas like formal living rooms. • Satin—next in line on the spectrum of gloss—is still a relatively matte finish with just a hint of sheen. This compromise is one of the most practical and popular finishes. • Eggshell balances matte an glossiness fairly evenly, though the exact sheen varies from manufacturer to manufacturer. This amount of gloss makes painted walls easy to clean with a damp cloth. • Gloss or high-gloss finishes are the most reflective options available. These are generally saved for wood trim and molding, as the gloss is both more decorative and easiest to clean. Pro tip: Most interior paint jobs use satin or eggshell on walls and semi-gloss on trim; if you’re on the fence about your finish, you can’t go wrong with this classic combination.